Andres Roots Roundabout: "Three!" On The Road! Currently Blues Underground Network's 'album of the week' in Canada, with the Soul Bag magazine in France calling it "un disque joyeux, fair pour la danse" and Estonia's biggest daily Postimees suggesting the listeners' feet will never stop tapping, "Three!" will be performed live throughout October. 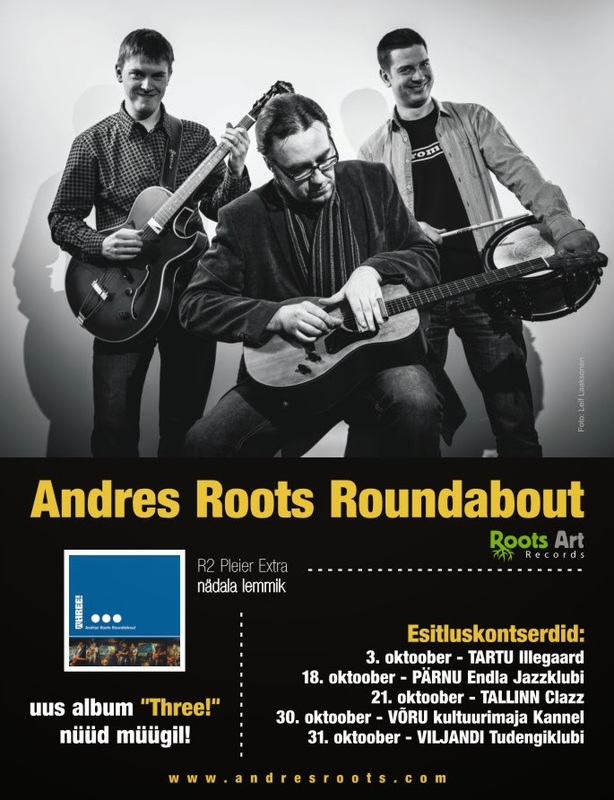 Andres Roots Roundabout will kick off the tour with a free show at Illegaard in Tartu this Thursday, October 3rd.